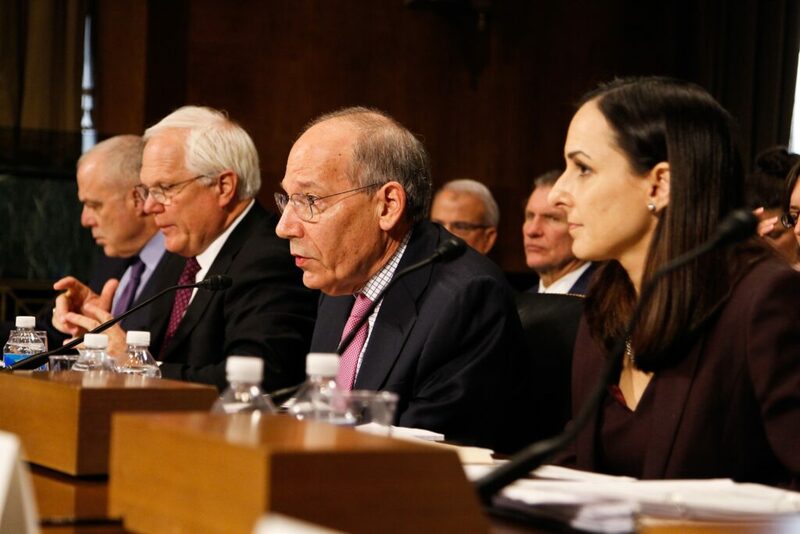 USC health policy expert Paul Ginsburg, testifying before a U.S. Senate panel on Sept. 22, said that health insurance mega-mergers such as those sought by Aetna and Anthem are extremely complex, difficult to analyze and could cost consumers. Ginsburg spoke before lawmakers from the Senate Committee on the Judiciary’s Subcommittee on Antitrust, Competition Policy and Consumer Rights. Joining Ginsburg as witnesses were Mark Bertolini, chairman and CEO of Aetna, Inc.; Joseph Swedish, president and CEO of Anthem, Inc.; Leemore Dafny, research professor in hospital and health services at Northwestern University; Richard Pollack, president and CEO of the American Hospitals Association; and Slover, senior policy counsel at Consumers Union. For more than two decades, Ginsburg has studied how changes in the financing and delivery of healthcare affect people. Explaining why the health insurance market is so complex, he said insurers sell to different market segments including individuals, Medicare beneficiaries and national corporations — in many distinct geographic areas. Furthermore, the companies act as intermediaries, buying from health providers and selling insurance to consumers. Ginsburg acknowledges potential upsides. “For one, Wall Street analysts believe that these mergers will lead to substantial reductions in administrative costs,” he said. But will consumers see those savings in their premiums? Paul Ginsburg testified before congress about insurance mergers. He and Bertolini, CEO of Aetna, which has agreed to buy Humana and its huge Medicare Advantage business for $37 billion, insisted that fewer, bigger insurance companies will expand competition, improve healthcare and lower prices. 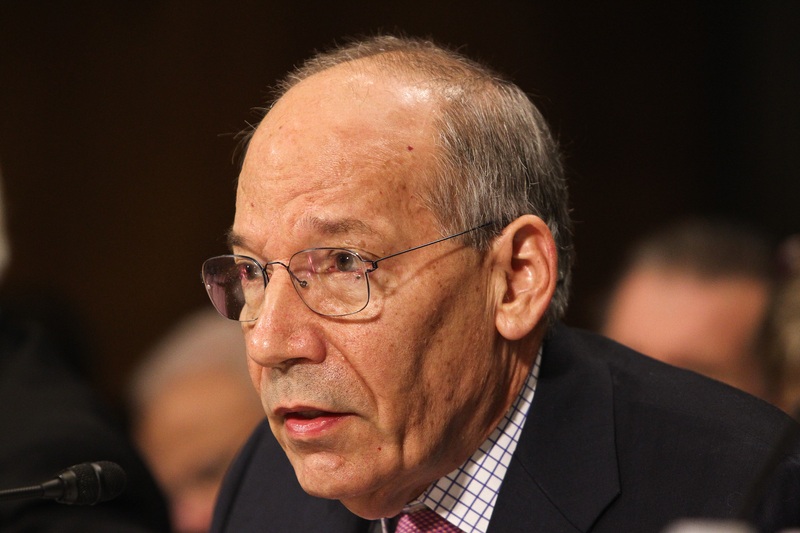 Ginsburg is director of public policy at the Schaeffer Center for Health Policy and Economics and is the Norman Topping Chair in Medicine and Public Policy at the Sol Price School of Public Policy at USC. An economist, he founded the Center for Studying Health System Change and served as president from 1995 to 2013. The Justice Department – not Congress – ultimately will decide whether to allow the insurance deals. They will conduct a detailed analysis of the possible effects of the mergers and may require the firms to divest some operations, as Anthem had to do in 2012 before buying Amerigroup. The Department of Justice holds this data private. “Without being privy to this analysis, I do not have a position concerning whether or not these mergers should be approved,” said Ginsburg. He and Dafny both said they wished the data would be made public. “Given the significance of the insurance sector to our wallets and to the functioning of our healthcare system, the public deserves better data,” Dafny said. 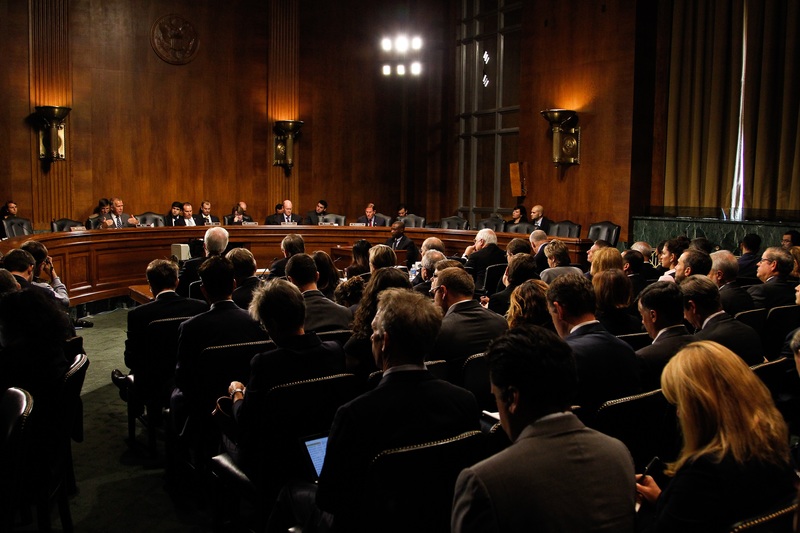 The antitrust subcommittee rarely tackles health issues, but subcommittee chairman Sen. Mike Lee (R-Utah) said he called the hearing to help the public and lawmakers understand the consolidation trend in the healthcare industry and how it may affect consumers. More than 100 people crowded into the committee room. How the mergers may affect the 90 million people – three out of ten Americans – who have insurance through the four companies was on the mind of Sen. Amy Klobuchar (D-Minn.), the top Democrat on the subcommittee. Slover also noted stakes for consumers are high. “There are strong indicators, to us, that these mergers could create too much concentration, in too many markets and cause too much harm to consumer choice,” Slover said.